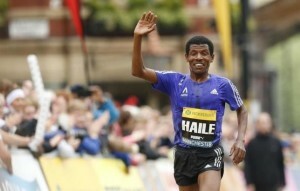 The Ethiopian Athletics Federation has got a new president: Haile Gebrselassie. His candidacy was promoted some months ago already, and yesterday the Olympic Champion announced his election on Twitter. Gebrselassie is an athlete who lived for athletics and witnessed a lots of great changes in this sport during his long career. We believe that his experience and expertise will bring great support to Ethiopian athletics.